OGC® standards are technical documents that detail interfaces or encodings. Software developers use these documents to build open interfaces and encodings into their products and services. These standards are the main "products" of the Open Geospatial Consortium and have been developed by the membership to address specific interoperability challenges. Ideally, when OGC standards are implemented in products or online services by two different software engineers working independently, the resulting components plug and play, that is, they work together without further debugging.​ OGC standards and supporting documents are available to the public at no cost. 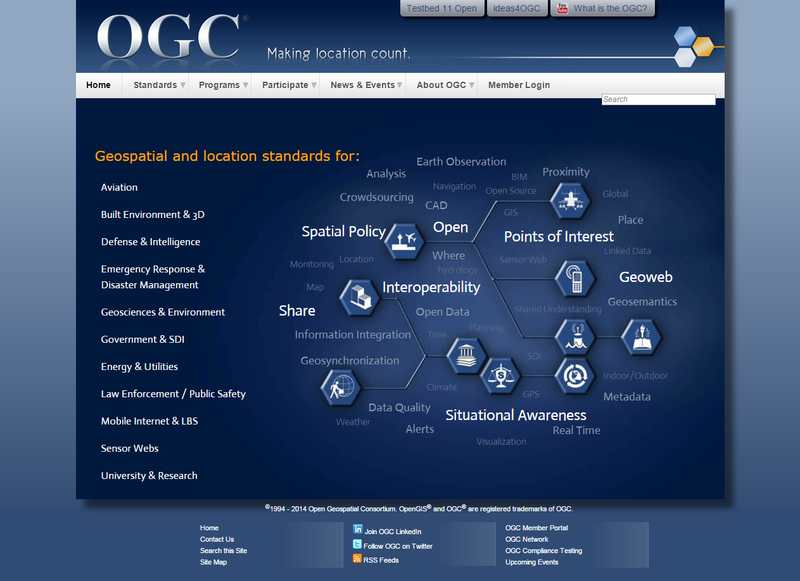 The Open Geospatial Consortium (OGC).